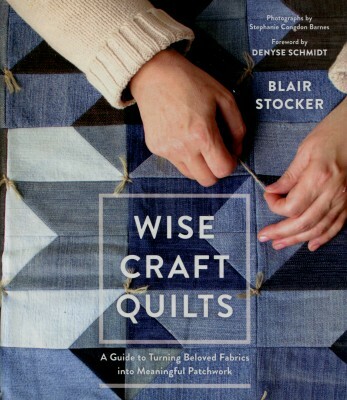 In Wise Craft Quilts, celebrated quilt designer and crafter Blair Stocker shares ways to use cherished fabrics to make quilts with more meaning. Each of the twenty-one quilts featured here gathers a special collection of fabric, outlines a new technique, and spins a story. By using special fabrics as the starting point for each project - from a wedding dress to baby�s first clothes, worn denim, Tyvek race numbers, and more - the finished quilt is made even more special. Create quilts that have a story to tell and you�ll find a whole new level of appreciation for what they represent in your life and the lives of the ones you love.